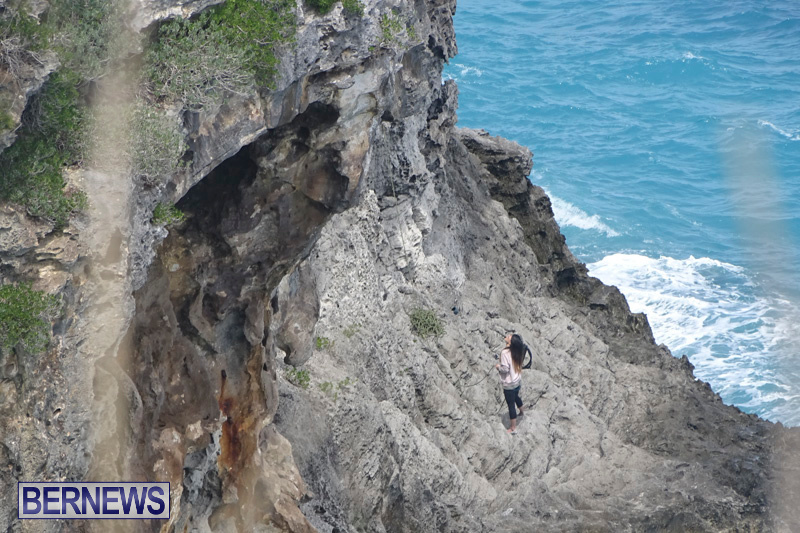 Earlier today [April 6], a couple was seen scaling the cliff face of St’ David’s Head in the area of St. David’s Battery. 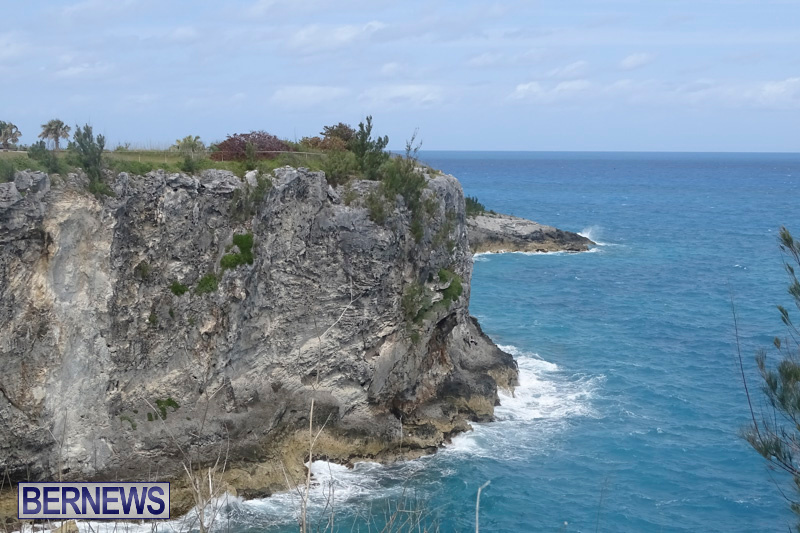 Avid photographer Arthur Bean was in the Great Head Park cliff area to try and capture some images of Bermuda longtails when his attention was diverted to what appeared to be a couple at the bottom of the cliff face. 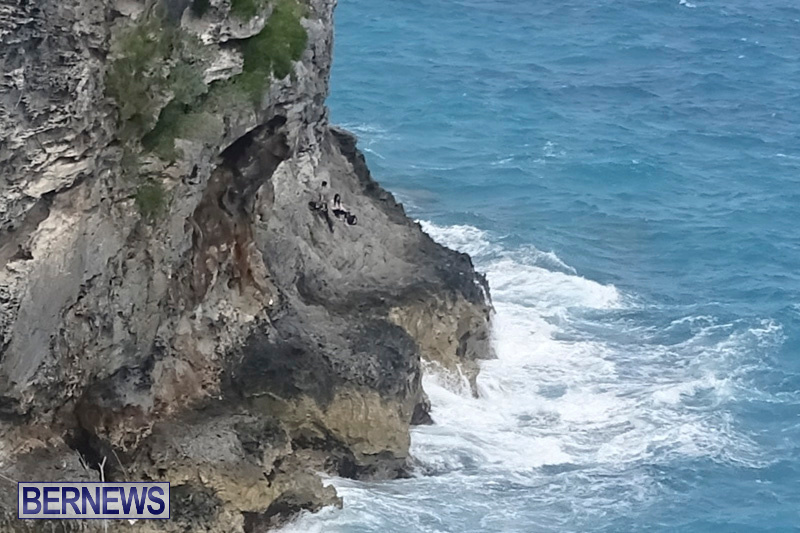 The sight of two people at the bottom of the cliff with no boat in the area was a strange one. 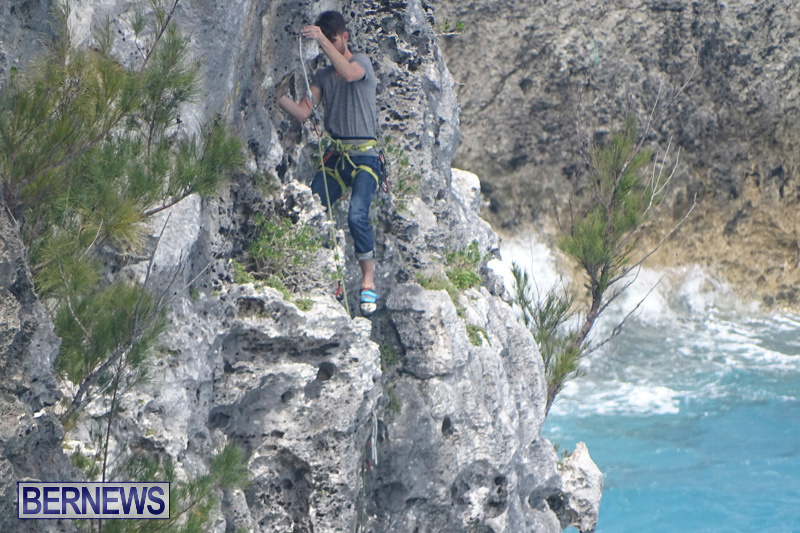 A short time later the man was seen climbing the face of the cliff with a waist harness attached. 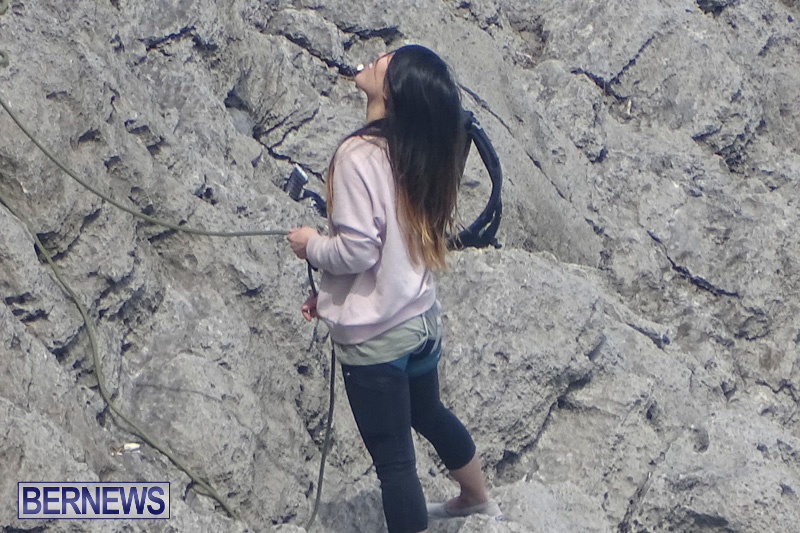 He climbed to the top of the cliff and shortly after, the woman followed behind and also reached the top. After speaking with the couple. 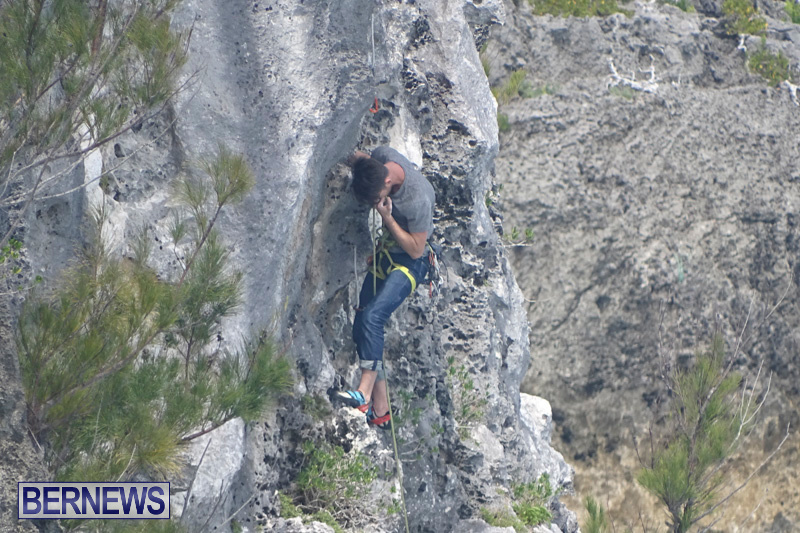 Mr. Bean said the couple revealed they have been climbing cliffs for the past three or four years. Driving while being impaired by Marijuana can kill people, and has done so. Driving off a cliff can be fatal. Stay tuned for base jumping of de Lighthouse. Oh yeah bah, “base jumping of de Lighthouse”, meaning that the Lighthouse will be base jumping!? Learn the difference between of and off, Idiot Juice. Can cause death of not only you but others around you. These comparisons aren’t even the same thing. Same asinine knee jerk reaction we are used to seeing by the ignorant and uninformed amongst us. People have been climbing St David’s Head for years now. 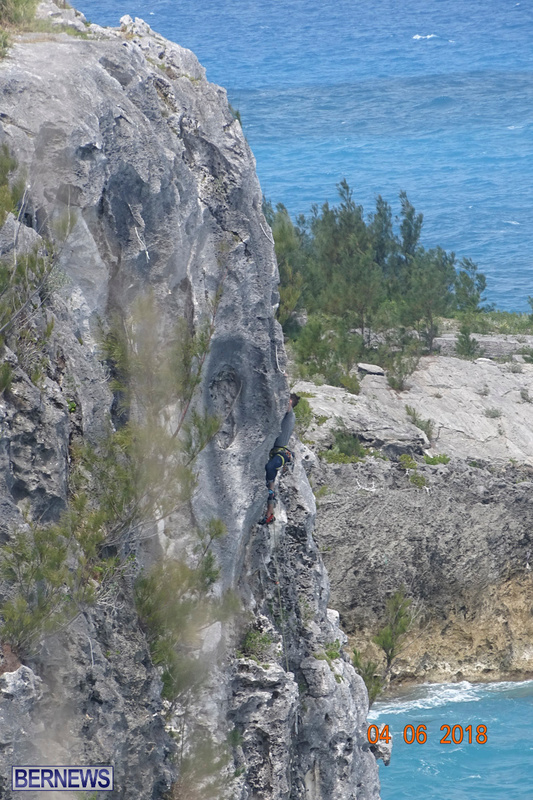 He can take the casurinas out of the cliff face! Another 10 years or so they will get big and erode the cliff face! 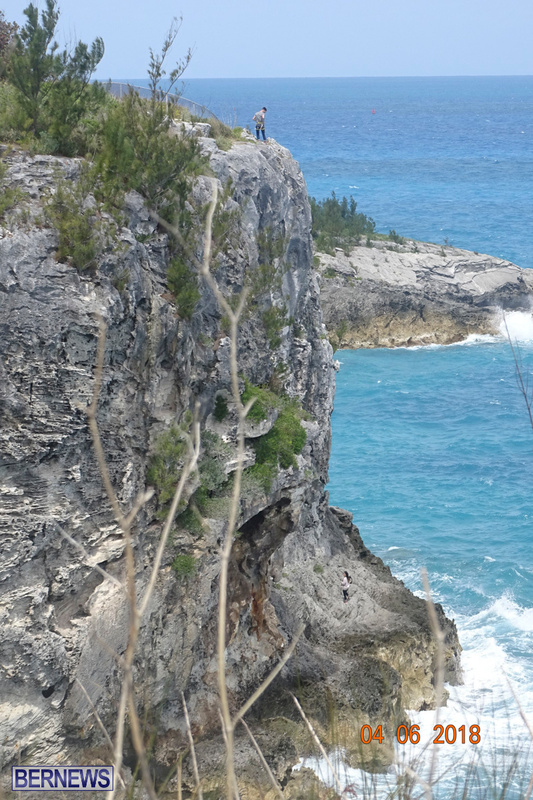 I absailed off dat cliff its no joke bah! 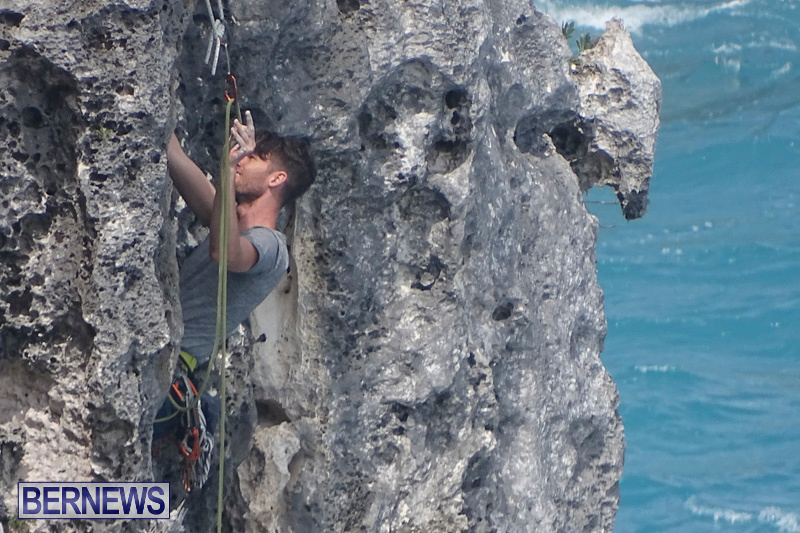 Didn’t the Tourism Authority advertise rock climbing? Even if we only got those two its more productive than the drivel that Onion Juice comes up with. This stone is not safe to scale , absail ok but scale? No.